I recently received some INIKA products which included this "crème colour eyeshadow" in Cappuccino. 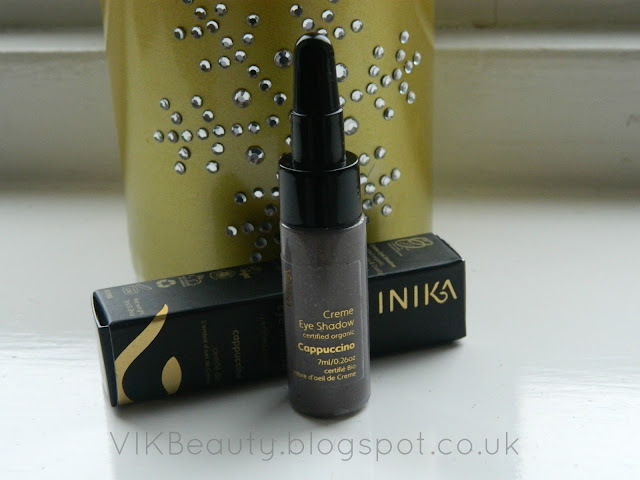 For those of you who are regular readers of my blog, you will know that I reviewed a couple of INIKA eye pencils which I really liked. INIKA is a luxury 100% certified organic brand that uses natural ingredients in their products. All INIKA products are Vegan, Certified Halal and Certified Cruelty Free. 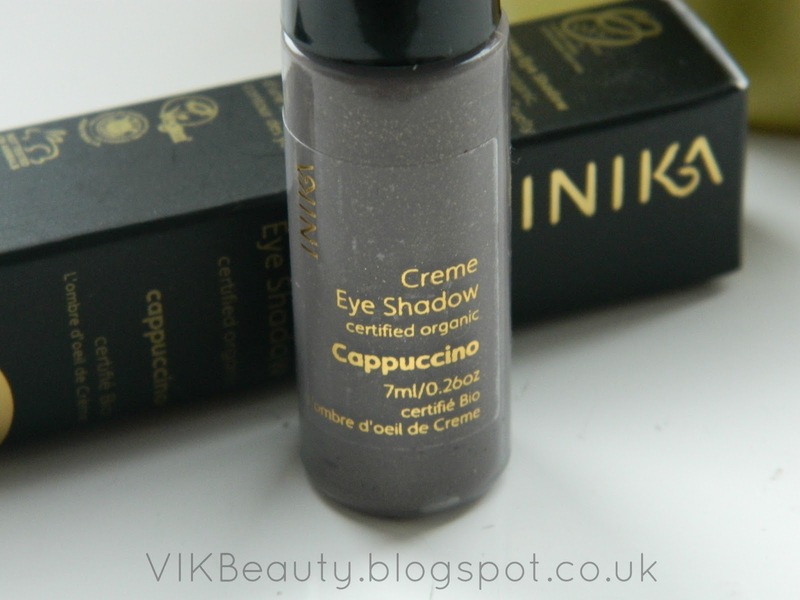 Cappuccino is described as a "rich taupe brown shade, with a slight golden shimmer that is excellent for creating natural depth, giving the illusion of bigger eyes". I do love the the fact that it contains ingredients such as aloe vera, shea butter which have hydrating and nourishing properties. Now I must admit, I'm usually a powder eyeshadow girl, but now and again I do use cream eyeshadows. As I have oily skin, I always used to keep away from cream eyeshadows because I sometimes found that during the day, my lids would get quite oily and a cream eyeshadow would only highlight the issue or "melt" away. You simply squeeze the tube to get more product out. I do like this eyeshadow. I thought that it wouldn't suit me and would be too "creamy" for my lids. However, once I applied it using my fingertips, I let it dry for a minute or two and it became quite matte which made it easy to apply eyeliner. 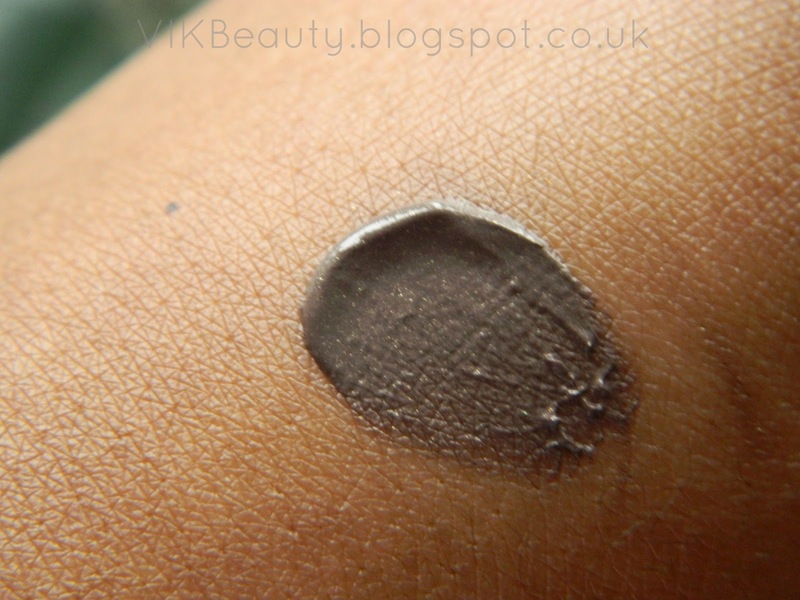 As you can see from above, it is a great colour (the first day I wore it, I had compliments from ladies who wanted to know where it was from) that in my opinion could be used on it's own or as a base to create a smokey eye. There is a slight hint of gold shimmer when it catches the light. In the above picture, I used the eyeshadow on my lids with a black eyeliner over it. I wore the eyeshadow all day (7 hours +) and it didn't crease which made me a happy trooper. I was really surprised but maybe it is because it sets with a slight matte finish. Cappuccino retails at £18 for 7ml which I guess may be on the steaper side of things but it's worth remembering that this product is a !00% natural. You can pick this up online. Click here. Have you tried any products from the INIKA cosmetics range?